A small update to the Google+ Android app, which is quickly becoming one of the top apps I use every day, was released a few minutes ago. The update mostly resolves login issues for those with multiple Gmail accounts (we've heard many of you complain about not being able to sign in because of that). Other additions include a new "spiffy" profile icon and UI polish. Grab the update in the Market if you already have access to Plus, and if you don't, feel free to drop your name and email in this post. We'll try to mass invite once Google allows it again (the workaround that many of you pointed out doesn't work for mass invites, and I'm not about to manually invite 4500+ people on the list :-]. However, if you have friends on Plus, you can try asking them). P.S. Please do not beg for invites here. Please don't beg for invites here. There is a dedicated post listed above that will collect addresses, and we'll mass invite when Google opens them up. Any word as to when they might open invites back up? I would like to hop on board, but if this drags on too long I'll probably start to lose interest and move on. BTW - a co worker has a friend at Google. Apparently as of last night it's no longer possible to invite people by adding them to a circle and sending a message. I cant find the app in market... Im using CM 6.1.1alpha8.3 in samsung galaxy I5700 (yep ... the old rusty spica)... anyone has same problem?? The app is country restricted. US and UK have it,maybe more but not all countries. Use a scanner app and scan the qr code. I've tried that using gogles, using m.google.com/plus ... and it says "the request item could not be found"
"Could not sign you into Google+. 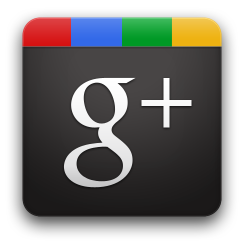 You must be over a certain age to use Google+." I am 16, but I don't remember entering my birth date when I was creating that google account. Anybody else has this problem? Is it possible to change my birth date on a google account? if you cannot find g+ on market, download Market Enabler, change operator code to US operator, t-mobile, AT&T etc. Then search it again on the phone, it will find it. Your phone must be root though. "Now handles multiple Gmail accounts properly"
Except for the ability to logout... Which seems to have mysteriously vanished from the app because of the update. Closing comments due to constant invite begging.